My name is Heather Cigas and I am a junior studying Exercise Science with a minor in Business Administration. I’m thrilled to be spending my fall semester at The Beijing Center in Beijing, China! I’ve grown up speaking Mandarin, but have lost a lot of my ability since coming to college, so on a personal level I’m hoping to regain that skill, but I’m also excited to gain more of a global perspective especially in a culture so different from the United States. 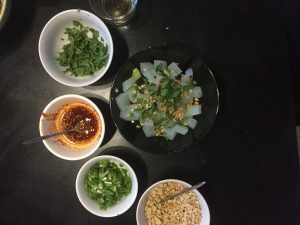 I’m the kind of person who will try (almost) anything from eating new foods to running half marathons in random places, so hopefully that keeps this blog interesting. 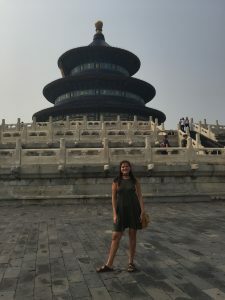 Whether this adventure to Beijing becomes my own version of Eat Pray Love or whether I end up in unforeseen places, I’m excited to share it all with you! The answer to everyone’s question: how was China? The perfect answer is a 20 second elevator speech. It must break all barriers and sum up the experience in more than just “it was great” but it cannot wind on for too long so that people lose interest. The perfect answer provides more insight into China, but doesn’t seem to unreal that many think China is untouchable. The perfect answer … doesn’t exist. I’m not going to miss the mannerisms of China. Don’t get me wrong, they’ve taught me a lot about culture changes and how privileged I am here. That being said, I don’t think I will ever appreciate the spitting of flem on the ground, or the cutting or the pushing. And yes, the pollution and lack of 24 hotwater is not ideal, but hey, I survived, so really, I can survive almost anything, right? As I sit here lying in bed, at 5:30 am, because I love JetLag, it’s hard not to have a gajillion thoughts running through my head. It’s as if I’m coming back to a world where my life has been put on hold, but everyone else’ has kept moving forward. In reality though, my life has been moving forward, just in another way that no one but the people I experienced it with will really understand. Going into China, I never really had expectations. In fact, the one advice that my friends gave me was to not have any. Meet the love of your life they said. Eat some dumplings. But really, just soak it all in. So what makes leaving China so hard? Really, China offered a sense of independence that I’ve never felt before. Going away to college, I was able to create my own life story, but still under the pretense of a culture I was already pretty used to. China on the other hand, offered independence, but independence in a whole other way. Instead of deciding which familiar place I wanted to order takeout food to, I was presented with the options to go to another part of a city. There was always something new to be eaten, new to be explored … really, I never got into a serious routine, thus I was never bored. Part of the exploration of China itself was also interesting because we fully did not master the language. My Chinese is good enough to get us where we need to go, or even to hold basic conversations with the taxi drivers who decided that I was cool enough to be friends with. But, I couldn’t go into a menu and just look at the words (with no pictures) and be able to tell you what was being served. It’s funny because even though we made it a point to try new restaurants, unless there were pictures, we pretty much stuck to ordering the same thing …. Egg and tomato with noodles, cucumber salad, dumplings, baozi, jaozi, beef noodles, kabobs, and naan. But, sometimes we would laugh at the things we thought we were getting, versus the things that actually came out. The other part was the spontaneity of traveling. 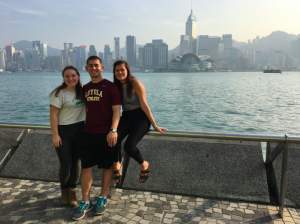 On more than one occasion, we found ourselves planning trips to costal cities or Shanghai at 1 am on Friday morning, only to leave 12 hours later at 1pm. We could go wherever we wanted, and we would always have no real plan, we could just soak it in. My one regret is not traveling more in China. It’s a little more difficult than I think traveling in Europe is, just because I didn’t have a visa that let me leave the country more than twice, and China is so vast, but also has very diverse topography, so it’s harder to get places quickly. But, even the different regions we explored offered a culture so different from each other, like going from the south to the west coast, that we were surprised by the different foods they had to offer, as well as the friendliness (or lack of) towards foreigners, and even the prices of things or what they sold. Hong Kong for example, was a modern city that went through growth, but everywhere we went was high end stores like Gucci and Prada and places I had never even heard of. Shanghai in its own was such a modern city, I don’t think I ever saw one piece of trash on the streets themselves. 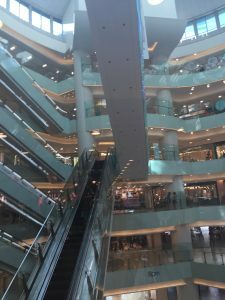 Contrastingly, Qingdao was a coastal city with tons of hole in the wall shops and restaurants, and gave off a more small town vibe where so many people wanted to talk to us because they said they don’t attract as many tourists especially when it’s not beach weather. 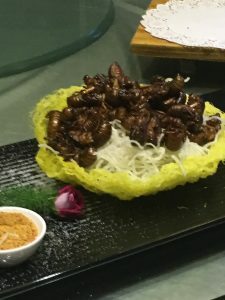 The best part about China though? The people. 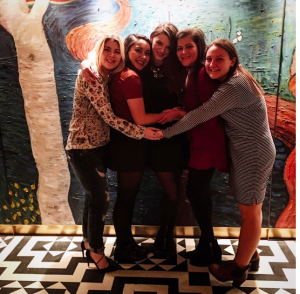 I could go on for hours about the friends I made, and subsequently am really torn to leave. My Chinese Roommate, Jenny, was my source of inspiration, who without I would still be wandering around China super lost. 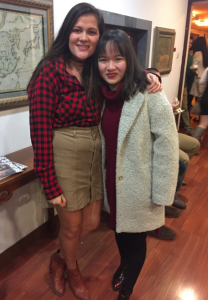 Jenny supported me and really encouraged me to speak Chinese to the point that I felt confident enough in myself to do it. 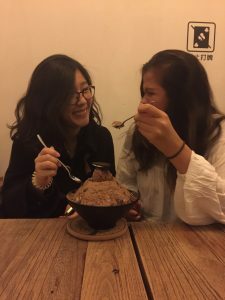 The late night talks we had about boys or even just culture in general gave me a better understanding into what life is like in China for someone my age. Even all the other Chinese Roommates were friendly faces that were always there to order Takeout, and people I will never forget because they were the real reason we got to get connected to China – they took us to different restaurants and to Karaoke and helped us order things off TaoBao, the Chinese Amazon, and even helped us make reservations at places we might have not experienced. As cliché as it sounds, spending 4 months in a foreign country with a small group of 35 people makes you become friends with people I normally don’t think I would have. These people you see everyday become such a familiarity, that waking up in my own bed knowing I can’t just walk two doors down or a floor down to see my friends is a feeling that’s so strange and hard to get used to. I felt like by the time I left, certain people knew me on a deeper level than some of my close friends do back in Chicago, and I don’t mean that in a bad way. It’s sad that some people I may never see again in my life, and others, I’m counting down the days to go visit. I’ll miss sitting outside in the gazebo staring at the sky (or lack thereof) sipping on zhenzu (bubble tea), or sitting in the back of Chinese class creating ridiculous stories about ourselves to keep us entertained, or watching movies on movies on movies or tv shows on tv shows on tv shows. I’ll miss the grandmas and green bean runs or runs to the bread lady. 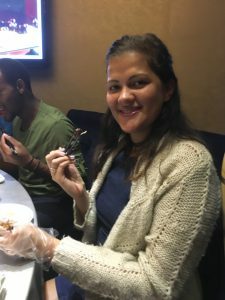 I’ll miss begging for food in the Library when I’m too lazy to venture outside the building, or my surprise visits to the lounge where I convinced everyone studying to take a break and come get food. I’ll miss the silk road trip and the back of the bus where I created my group of girl friends that was inseparable ever since. I’ll miss the concerts and the games of dice we used to play when we went out (and the amount of Pizza Hut I still owe my friend). These people, the ones who experienced something and who are the only ones that can really understand what we went though and who we are, will always have a place in my heart. Ultimately, leaving for China, I was so stuck in my routine, in my ways. I would always have to workout at least 6 times a week, I never stayed up past 1am, and I was so comfortable with my friends, I never really tried to venture outside of what I knew. I knew the person/place that would eventually help me realize that I didn’t need my rigid routine to be happy and comfortable would be the place that I felt most at home. And the people I met in China and China itself did that for me. So have I changed? Being home I really couldn’t tell you. I feel like the same person, I look like the same person (minus the few pounds I probably put on from the dumplings), yet some part of me tells me that I’ve grown so much, which only time can tell. 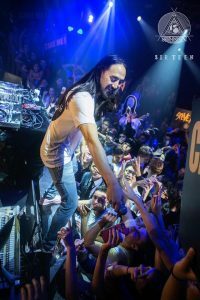 How was China? I loved it. I really did. But some things will just never be able to be explained on paper, and this is one of them. My advice, if you’re looking to study abroad and really challenge yourself, China is an amazing place. I found a love for writing that I didn’t think I had by getting an internship. I met friends who have changed my life forever. I never really found the love of my life, but I fell in love with a culture that so many think is so foreign and untouchable. Hopefully I’ll get over this JetLag soon and the immediate sadness of leaving something and people I love so much. But in the meantime … this is me signing off on my blog and subsequent writing career;) Zai jian! This is my recap of the last week in China. Honestly, when I realized that I only had a week left, and still so much I needed to do, on top of all my finals … I decided I could do it all. Finals for me weren’t that bad. As bad as writing almost 40 pages of papers can get. However, as a science major and test buff, it was nice to do away with the tests for awhile and really research some interesting topics such as how China marketed the olympics to the rest of the world. Our adventure began with a trip on Friday to see yet another DJ duo, Blasterjaxx. 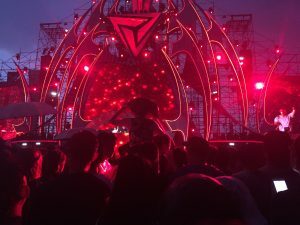 I never expected to go to China and get to see 5 DJs/famous artists … and I surprised myself everytime but at least getting to the front if not even meeting them. My experience wouldn’t be complete had we not got to go backstage and meet half of Blasterjaxx and get a picture with him(the other was sick). Also not going to miss how I got in free to almost everyone of the concerts because they only made guys pay. Saturday, we spent visiting the Christmas Bazaar in one of the Hutongs, translated alley. It was a homey kind of feeling to see a Christmas atmosphere complete with pumpkin soup and chili. Sunday, I went out to dinner at Capital M with my group of girl friends. 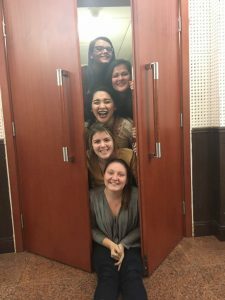 Emma, Dorothy, Lana, and Kim were my biggest group of support in China, and my experience honestly would not have been the same without them. It’s amazing how sitting on the back of the bus for 13 days at the beginning of the semester can bring you together. The restaurant was right across the street from Tienanmen Square, giving way for the perfect girls night. Monday was a day for Qmex, our favorite americanized restaurant with half off deals on Burritos on Mondays. The burritos were huge, and while aren’t as good as Chipotle, for the western style food you can get in China, it was perfect. Tuesday was our trip to the Olympic complex. Idk why I have an obsession with the Olympics, but I knew I could not leave China without at least setting foot in the places that people I idol such as Phelps had once stood. Wednesday was saved for last minute shopping and a dumpling party in my marketing class. Friday was our closing ceremony! more in my next blog. Fun Fact: Hong Kong is the only known place on Earth where you can pronounce the name without moving your tongue and your lips. Last weekend, my friends Kim and Henry and I ventured to Hong Kong for Kim’s birthday weekend and our second to last weekend in China (!!! What !!!). 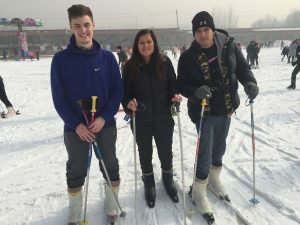 Lucky for us, we missed the weekend in Beijing where the pollution got above 500 and we got to escape the cold weather and we got to trade it in for 70+ degrees. Stepping into the Hong Kong airport made me realize how much of an adjustment returning to the States is going to be. First of all, the money in Hong Kong was “dollars” though the exchange rate was more similar to the RMB. So it was a little unsettling to see lunch being sold for $180. Next, just having to adjust to meals being around $10-$20 US Dollars was also odd, because in Beijing I’m so used to getting food for around $3 a meal. AND, just the amount of foreigners was an unfamiliar sight because I’m so used to standing out and also banking on the fact that no one around me can really understand what I’m saying. 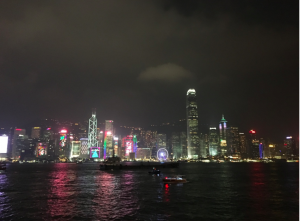 Hong Kong was a mix of Beijing and Shanghai in my opinion. Unlike Shanghai, it has been open for many years, allowing the city to develop and modernize at a normal rate. We stayed on the China mainland side, though we were about a 2 minute walk from the water and subsequently the ferry that took us across to Hong Kong Island. Kim and I spent our first day wandering the mainland side where we ate huge baozi and went shopping before we met up with Henry and explored even more. Walking along and looking at the skyline of the Island is one of the most awe-dropping experiences I’ve ever had. A nice man we met told me that Hong Kong has even more skyscrapers (maybe even the most in the world) than Shanghai, and just to see everything all lit up but to smell the smells of the water was so relaxing. There was a light show that we stayed to watch, but contrary to the name, was just a mini movie on the side of the Cultural Center. Saturday, or Kim’s Birthday (HAPPY BIRTHDAY KIM) was our big day. We woke up early to cross the river and headed to Victoria’s Peak. We took the tram up to the top, which is perhaps the steepest ride I think I’ve ever been on, but the view from the top were gorgeous. We then headed down to the entertainment district of the Island and got brunch before heading to the Ferris Wheel on the water where we got to see the sunset from within the cars (couldn’t have timed that better at all myself.) Kim and I ended our journey on a rooftop overlooking the city, which we have made it our mission to do in any city. Sunday, our last day was spent eating Dim Sum and one of the better known Chains of Hong Kong (the line was over an hour long and they made you fill our your order in line so that they could get people in and out very fast). I do have to say, Hong Kong airlines was one of the nicest ones I’ve been on. Besides giving me a tasty gluten free meal, which if you know me you know I’m weird about food, they also had tvs with remote controls that had a video game controller on the back. After all our crazy travel experiences, it was nice to end it on a nice note. 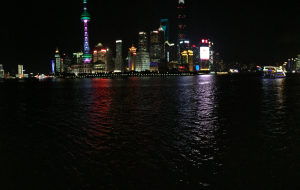 This past weekend we treated ourselves to a nice little post-midterms vacation … to Shanghai. (I’m really digging the one academic break a month life, though this was the last one so that’s kind of sad). 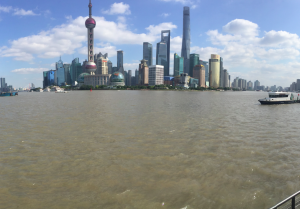 Shanghai is such an international city that compared to Beijing, it felt like we weren’t in China at all. Walking down all the roads and seeing the tall skyscrapers all lit up and streets surrounded by modern buildings, the only thing that reminded me that I was in China was the food and the signs themselves. 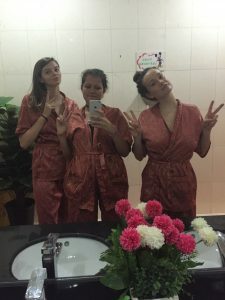 Highlights of our trip included spending the day at the Shanghai Zoo, viewing the famous skyline during both night and day, going to the top of the 2nd tallest building in the world, and sleeping in an actual bed with a shower with actual hot water. Non-highlights include sitting on the highspeed bullet train for 5 hours smashed next to a sick girl one way and a man polishing his nails for 30+ minutes the other. I hadn’t been to a zoo in such a long time, that it was fun to be a kid again. Additionally, the Shanghai Zoo boasts species that are super endangered and specific to Southeast Asia. Some of the animals we were able to see won’t be in existence in the next 10-12 years. What I found funny was the lack of regulations there were at the zoo. All the animal cages especially the pits where they housed mammals, we could get right up to … there was no real gate. 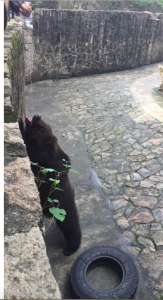 Despite the signs saying don’t feed the animals, people at these zoos still fed the animals whatever they wanted. Below is a picture of someone literally pouring the Chinese equivalent of Gatorade into this bears mouth. Please note how close we were to the bear. 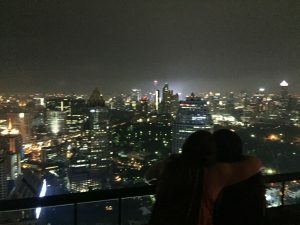 While Halloween in Shanghai was pretty anticlimactic, the views from the rooftop we went to celebrate it made up for it. It’s funny how Halloween is a holiday that is only celebrated by foreigners in China, so finding a costume is pretty hard. And I miss the whole American candy part of it as well. 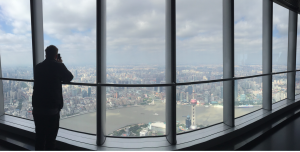 We also visited Shanghai Towers which just recently opened up and is the second highest building in the world. It takes 55 seconds to climb around 118 floors which is just ridiculously fast. We went on a pretty clear day so they view was astounding. I live my life whether it be in Chicago, or Kansas City, or I guess Shanghai now taking pictures of different views of each city, but I have to say this 360 degree walk around building had to be one of the neatest. Food wise the best food I ate was at a street cart where this lady would whip up noodles or rice. Since they want to keep the skyline in tact, really the only ways to cross the river are via a 2 kuai ferry ride or the subway. BUT they also have a sightseeing tunnel. Originally it was supposed to be built as a glass walkway, but then the developers discovered that the muddy water wasn’t anything special and that there were roller coaster car things in Europe, so now you can take this ride under the water through a tunnel that is filled with lighting and sound effects. It’s one of those things that you walk out of being like that was so weird it was cool. Besides that, we had a nice more western vacation. But now it’s back to below freezing temperatures. So exciting. When I came to China, I was under the impression that I would have a lot of free time to take random trips throughout China and to explore the city. What I did not realize was that Beijing itself is a city that could take months on it’s own to explore if you really wanted to explore every nook and cranny, that travelling in China is not like it is in Europe because China itself is a huge country and is not as cheap, and that my classes last way longer than they seem (the reality of having class 950-1220 and 130-415 is a lot longer and takes up a lot more of your day than you might think). All to say, my expectations were completely changed as soon as I realized this, and I’m glad it has. 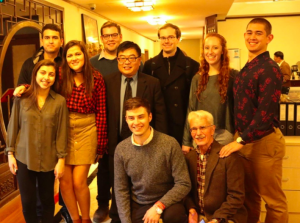 When we were on our 2 week trip through the Silk Road, I got a text from our Academic Director who was forwarding over an internship opportunity at the Beijinger, a magazine geared towards foreigners living here in Beijing. 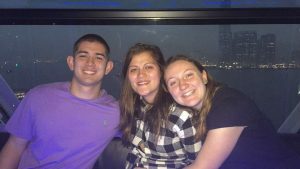 As an exercise science major, I never considered an internship in anything other than exercise science and physical therapy – until for some reason I was like why not apply. After going in for an interview and taking the position, I became an events intern for the magazine. That’s the cool thing about China is that you can find so many internships from working for the American Chamber of Commerce to working for the World Health Organization to working for start ups of English as a Second Language companies. Because we cannot legally work here for money, without getting deported, as part of our VISA’s, getting an internship is a great way to explore the city and free up some free time. My internship is so cool because I get to write blogs for the Beijinger as well as explore restaurants and write reviews of them. 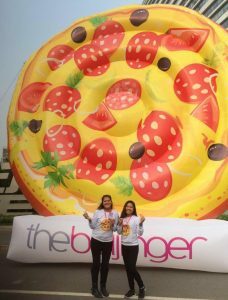 Last Saturday, the Beijinger held the annual Pizza Cup, which is this huge food festivals where Pizza Vendors from all over can come and sell their pizza in food stands. I got to volunteer at the pizza cup as well as I got to eat all this delicious pizza (a nice reminder of what I’m missing from home). While I love the food here, I still have yet to find a good brownie if a brownie at all and some cheese and goldfish (so send those care packages!!!). 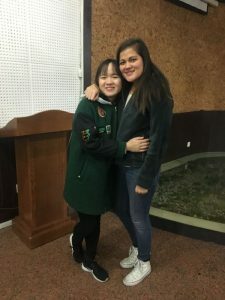 (This is Joneil – she also goes to Loyola and interns with me at the Beijinger – volunteering at Pizza cup with our pizza). Until the next blog, find me curled up in my room because it’s starting to get chilly here and China hasn’t turned on the National Heating yet. The Chinese National Holiday (October 1-7) is perhaps the craziest time in China because everyone is on vacation so everywhere around China especially in the cities is crowded … what is the best way to avoid this? Leave the country!! We got lucky this year because the first started on a Saturday and the 8th and 9th were also weeken d days, so we got an extra long vacation and chose to spend it in Thailand. For having no idea what I was getting myself into (besides the fact that Thai Grill besides Loyola is where I go for my weekly Pad Thai fix), it was an (almost) perfect vacation, and was nice because we planned the whole thing by ourselves – I feel so adult now. We spent the first 3 days hanging around Bangkok. We went to visit the Grand Palace, went to see a floating market via river boat, and went rooftop bar hoping – fun fact: the hangover 2 features Sky Bar which we obviously had to go see. My favorite thing are the little Tuk Tuk’s that drive around. They’re basically a little car, but kind of outside and they drive and weave in and out of traffic. 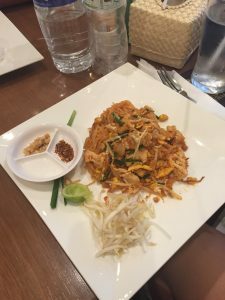 There is about 33 baht to 1 USD, and you can get some fantastic street food, whether it be Pad Thai, Noodles, Pancakes, or fruit for about 30-80 kuai. We also liked to splurge for nice meals which were around 12o baht which is still only like $4 USD. Also, I tried a Scorpion if you want to add that to the weird foods list! Don’t think I’d eat that again. We then hopped on a short 1.5 hour flight to Phuket. We decided to splurge and book ourselves 2 nights in a resort – which was the nicest present I could give to myself. The room itself had such a comfy bed, and came with an hour Thai massage. If you ever get massages, or want to get a massage, nothing can ever compare to massage Thai style where they literally sit on top of you and make your body pop in places you didn’t even know could be popped. 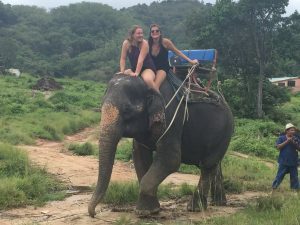 While in Phuket we had some fun exploring the night life and the beach, but the highlight was riding the elephants. After 2 days in Phuket, we decided to travel to Phi Phi Island, about 2 hours off the coast. No words to describe probably one of my favorite places I’ve visited yet. While it is an island targeted for tourists, it is completely isolated from the outside world and is absolutely gorgeous. There are no cars allowed on the island, and the main road is a little yellow brick path. We stayed at a hostel that was located on a mountain, and while we had to climb almost 200 steps to get to our room, we could see the beach and parts of the island from our room. The water was the nice green blue, not the murky brown you get almost everywhere else. The weather was a perfect 90 degrees. About a 20 minute ferry ride from the main island is a smaller one, that the government does not let anyone live on expect for native cave dwellers and park rangers. The movie “Beach” starring Leo DiCaprio (I’d never heard of it) was filmed on the island. 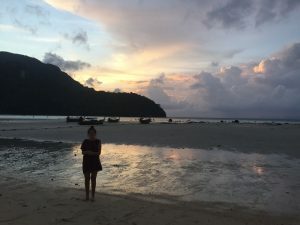 We spent 6 hours on a boat exploring the different coves of this island via kayak and by jumping into the water and snorkeling and visiting the part where monkey’s inhabit. We treated ourselves to a spa day by getting a fish pedicure and all you can eat BBQ. 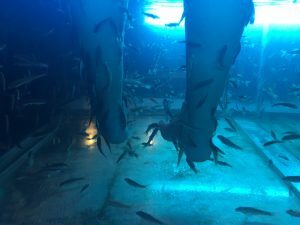 Fish pedicures are indescribable – all I can say is that it is not a pleasant feeling – you can feel the fish nibbling at your feet, and if you concentrate hard enough, you can narrow in on each bite. However, my feet are so smooth and not gross – so I’d say it’s worth it. The reason why I say this trip was ALMOST perfect was that, on our last leg of our flight (after 30 hours of traveling), our plane got delayed. Somehow, after taking a ferry and 2 planes, our last plane decided it wanted to have mechanical failures – so after sitting at the gate for 2.5 hours we unboarded and did not get on the plane until 9 hours after the intended takeoff. 40 hour day with no sleep. 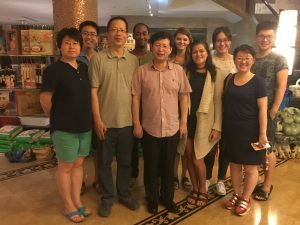 As miserable as the experience was at the time – it taught me how to utilize my Chinese to communicate with staff, and how to be flexible when traveling without my family and the guidance of my all-knowing parents. 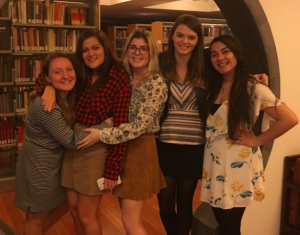 I learned a lot about myself and study abroad on this trip – It’s such a nice experience to be able to travel with some of your new (and old friends) and you learn a lot more about who they are as people. As much as I love China, it’s nice to be able to experience new cultures (get some fresh air) and to explore places I don’t think I will get the opportunity to travel to in a long time. Planning the trip and booking the hotels made me feel more and more like an adult with responsibility. Now I’m back in Beijing missing my Pad Thai (which we *surprise surprise* ate at least once a day) and the fresh mangoes and juice and pancake crepes and fried ice cream and thai omelets and coconut water in a coconut but all in all, super refreshed and happy and ready to survive and enjoy the next 2 months I have left here. I title this blog Frogger because I think it accurately describes my daily life of trying to cross the street in China. 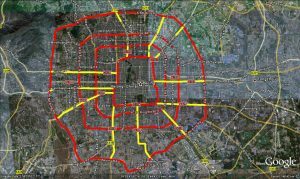 Beijing is set up via a system of Ring Roads, which I did not know until about 2 weeks ago. What I like about many of the streets here is there are not a lot of lights and instead there are walkways either above or under the street. However, unless the street is really busy or a major one, people can generally cross where they please. Most of the time there is a smaller lane (similar to a bike lane) followed by larger lanes on each side and another smaller lane. It is crazy though the amount of cars that just drive especially in the bike lanes because they do not really obey lights. Small scooters and bikes even drive on the sidewalk!!! It’s nice because here in Beijing I’m not constantly walking around looking down at my phone because I have to pay attention. But it’s like Frogger in that you cross the bike lane, try to make it halfway across the cars lane, make it across the other cars lane, and then to the other bike lane all which is completely possible as long as you’re paying attention. I actually don’t even see many accidents here, because as crazy as traffic can get, people are actually paying attention to the roads and somehow know how to navigate the madness. To add to my crazy foods list …. 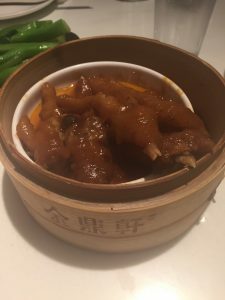 Last Sunday, we went for Dim Sum, and I ate Chicken Feet. I don’t think I’d ever eat it again, but it was at least worth trying. Last Saturday, some classmates and I visited the Temple of Heaven, which is such a majestical place filled with ancient Chinese architecture. It was in a huge park, so it was nice to also enjoy some green space away from the bustling of Beijing. The Temple of Heaven was conveniently located next to the Pearl Market so we were able to go and barter away for some souvenirs to bring back for friends. I always enjoy bartering because it is a great way for me to practice my Chinese to see how much of discount I can get on certain items. 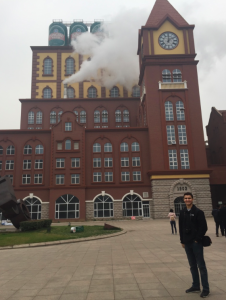 We concluded that day by going to see an Andy Warhol exhibit in the 798 district of China. This district is very cool because it is the art district, though we missed much of the street excitement because we went at night, so I’m excited to go back and explore. 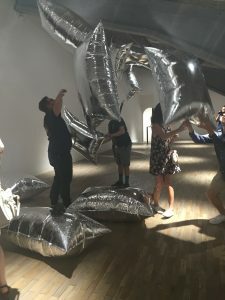 The nice things about this exhibit though, was it was a bunch of contemporary art, my favorite being the balloon exhibit (silver clouds they were called) below. There’s so much to do in Beijing and I already know I’m not going to do it all, but the random things we stumble upon like the art exhibit make this experience so much more meaningful. Next week marks the Chinese National Holiday (I’m excited because that means a week of vacation!!!). Until next time … Peace.